The JKA-SKC is an organization of like-minded instructors who all have a long history with the Japan Karate Association. 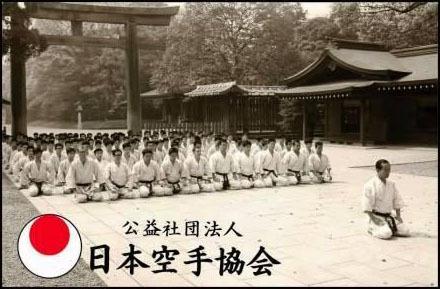 They formed JKA-SKC in order to foster, administer and generally advance the art of traditional JKA Shotokan karate, which is the style originally pioneered by the Okinawan Master Gichin Funakoshi and further developed in Japan by Master Masatoshi Nakayama. The objectives we set for our instructors are to educate, motivate, guide and honour their students and to promote strict adherence to the ethics on which karate is based. Our instructors strive to constantly inspire their students and to encourage their regular participation in special courses, gasshukus, seminars, kyu and dan gradings, and in the competitions that are held for both adults and children. to date to be given such recognition by its government. Conducting research and providing instruction of Karate-Do. as cultivating the spirit of martial arts. With vigor, the JKA continues to promote true karate around the world.